Hogs Breath is better than, well you know … “Hog's Breath is Better Than No Breath All!” That’s what they say and we know why. This is one of popular bars and watering holes in Key West known for drinks, food and daily live entertainment. For over 25 years this casual outdoor venue (seating indoors as well) has been the hot spot for the live music scene. 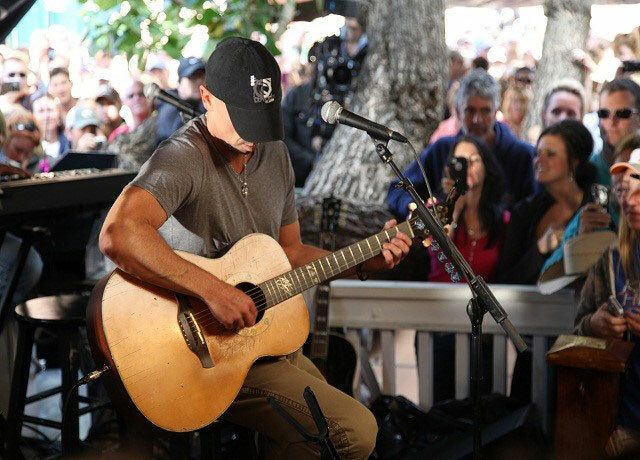 A popular Key West bar for locals and tourists and even some of our favorite celebrities. A dive bar with Key West flair! Hog’s Breath Saloon is a must see next time you visit us in Key West! Located at the corner of Greene and Duval Street is where you’ll find the iconic Sloppy Joe’s Bar in Key West, Florida. This is one of the most popular watering holes on the island and t’s not just because Hemingway drank here. While strolling down Duval stop in and enjoy the music scene at Sloppy Joe’s. Set in a 100-year-old building (once a grocery store) the Green Parrot Bar is another popular local dive bar and saloon well known for its live music, casual atmosphere, great drinks and one-of-a kind shows. 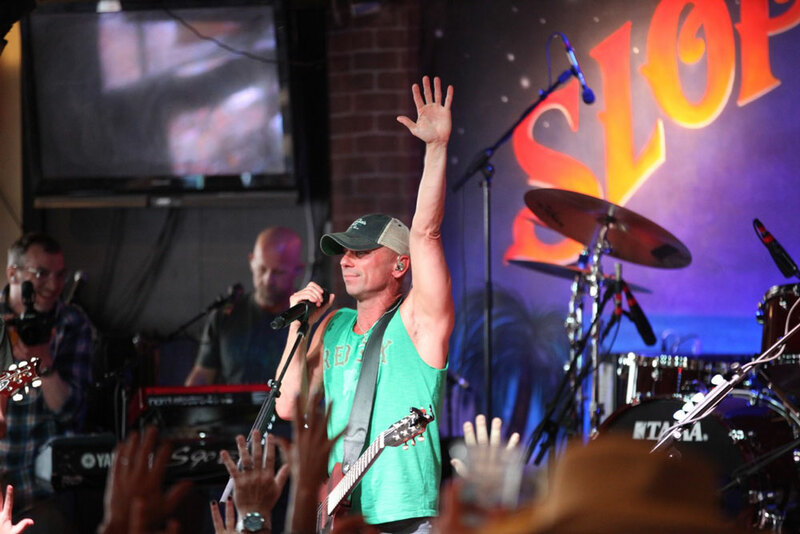 It’s one of the top venues for live music in Key West! This is the place to jam to great live music and hang out with the locals, especially during Sound Check! Friday, Saturday and Sunday 5:30 to 7PM is “soundchecks” - this is your chance to experience a full 90 minute set of the great music. If your schedule doesn’t permit you to go to the Parrot later in evening then make sure to attend Sound Check. Another cool event happening at the Parrot is Ukulele Night. This started as monthly Wednesday meetings and is now one of the Parrot’s crown jewels. Join the locals and the Parrot stage to be part of “One Ukin” Family. Seriously, if you are in town during Ukulele night check it out. As you can see The Green Parrot Bar is not only one of the best bars in Key West, it’s hip, cool, funky, quirky and one another favorite live music scene on the island. 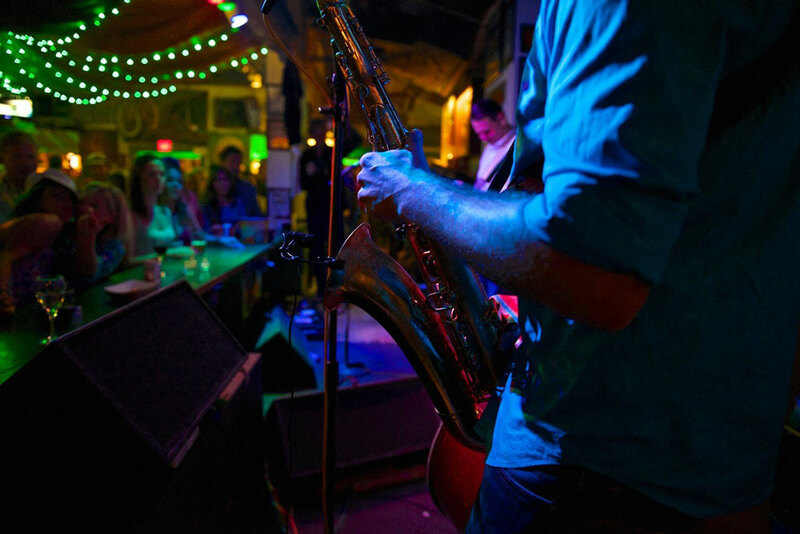 Just off duval, tucked away on Charles Street is where you’ll find Smokin’ Tuna Saloon, serving up music and more! In addition to great local seafood, Smokin’ Tuna brings local and world-class musicians to the island. It’s another one of Key West’s premier music venues and headquarters for the Key West Songwriters Festival. 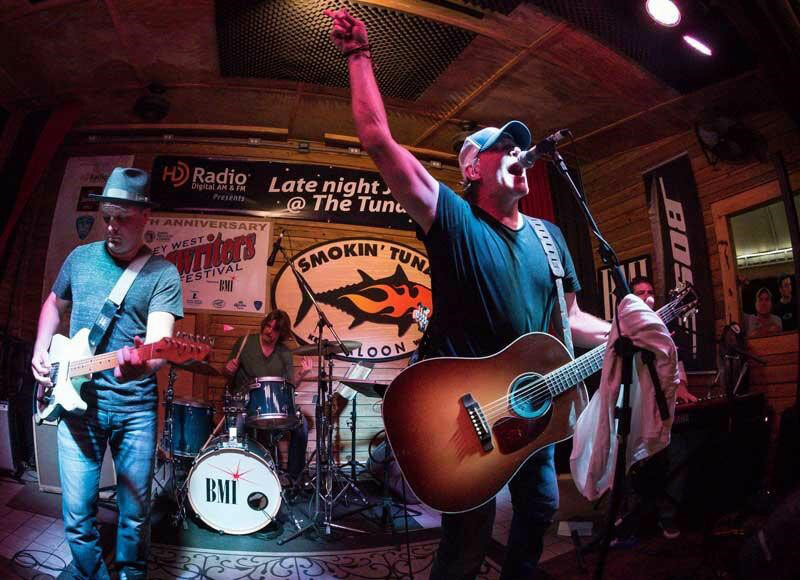 Two of the owners and founders of Smokin Tuna have created something special and continue to bring some of the best singer/songwriters to the stage. Scott Kirby is a popular Key West Trop Rock singer and songwriter. Charlie Bauer is founder of the Key West Songwriters Festival, now in its 23rd year. Key West Songwriters Festival is scheduled for May 9-13, 2018. It has been named one of the top country music festivals you need to add to your 2018 calendar by Wide Open Country. This venue may be a little harder to find but it is definitely one you must seek out. It’s located just off the 200 Block of Duval on Charles Street.